Welcome to the only guidebook series that takes a visual approach to professional-level computer topics. 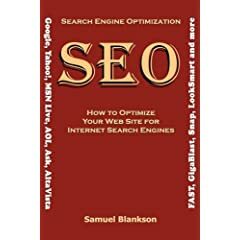 Open the book and youll discover step-by-step screen shots that demonstrate over 140 key search engine optimization techniques, including analyzing your competition, researching and analyzing keywords, developing your link building skills, and setting up blogs and communities. Succinct explanations will walk you through using Google Analytics, networking with Facebook and MySpace, setting up pay-per-click campaigns, and much more.